When Sam and Eddie Hart took over London’s famous Quo Vadis restaurant in Soho in early 2008 their task was to restore an unloved restaurant to its former grandeur. The restaurateur brothers had earlier opened the hugely successful Fino in March 2003, followed by Barrafina tapas bar in the heart of Soho. They had always had an affection for Quo Vadis but acquired it almost by accident when owners Marco Pierre White and Jimmy Lahoud sold three restaurants (including Quo Vadis) to Conduit Street Restaurants … and they immediately sold it on to the Harts. While Andy Martin Associates were entrusted with the interior design David Graham’s Sound Division Group were recommended to the project by an associate of the Harts, working sensitively within the early Victorian building (consisting of four original townhouses protected by a combination of Grade 1 and Grade 2 listings). The fact that it had also been home to Karl Marx before Peppino Leoni founded the restaurant (as Leoni’s Quo Vadis) in 1926 was an additional bonus. While the 85-cover fine-dining ground floor restaurant and glamorous first floor Members Cocktail Bar would form the mainstays of the operation, a vital revenue stream would be created by maximizing the use of the smaller rooms on the second floor, where the owners wanted a full A/V infrastructure to be installed that would not only complement the stylish room aesthetics but offer the quality of presentation facilities expected by its clientele, including a 5.1 surround sound system. 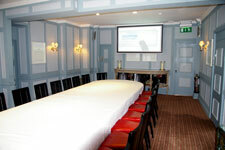 Two private dining rooms (one seating 30 the other 12), and a TV lounge were the focus of Sound Division Group’s work. 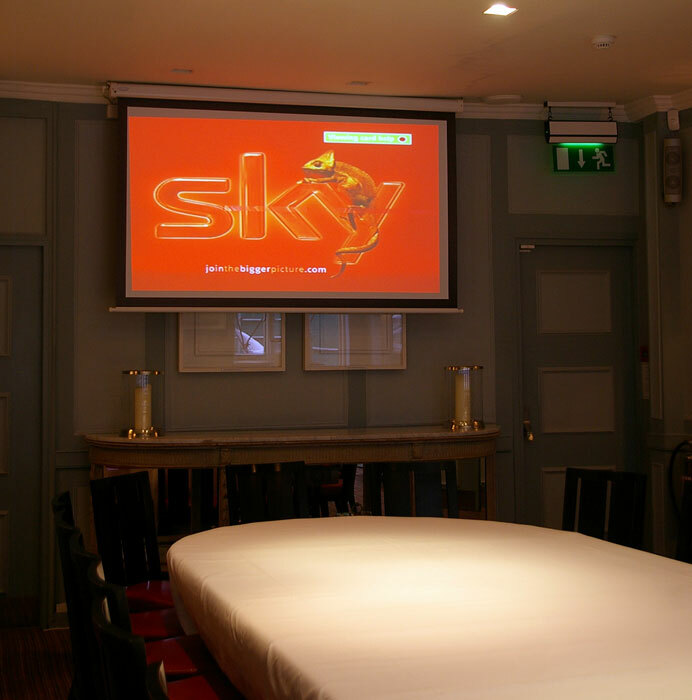 They have supplied the latest Pioneer 50in LX5080DS 50" plasma TV and DVD in the TV Lounge, meanwhile, the larger of the dining rooms has been equipped with Sanyo PLC WXU30B 3700 ANSI Lumen LCD projector, projecting onto a 6ft wide x 4.5ft drop-down electric screen in 16:9 aspect ratio (with an electric key fob for up/down operation). This has been complemented by a Denon DVD1940 DVD player and an AVR3806 5.1 surround sound AV amplifier, driving an Infinity Orreous 5.1 120W surround sound system. Full flexibility has been provided in the form of a separate VGA plug-in point for laptop use. In the smaller dining room SDG have supplied a Samsung LE32M87BD 32" LCD TV for further corporate presentation and private viewing. Said Sound Division Group MD, David Graham, "Given the size of the rooms and their intended usage, we have selected the best equipment for the purpose — and are delighted that these spaces are enjoying high utilisation as a result. "We are delighted to have been involved with the fit out of such a reputable restaurant in a famous and historic building, for ambitious restaurateurs such as Sam and Eddie." And Quo Vadis operations executive Mark Fortune, added, "Thanks to the superb facilities provided by David Graham’s team we have been able to maximise our corporate spaces, enabling clients to make their presentations using the highest level of technology."